It’s that time of year again. Snow is starting to fall, holiday lights are going up and little babies are showing up wheezing in your emergency department. While babies sometimes make emergency physicians nervous, the treatment for bronchiolitis just got a little easier. The American Academy of Pediatrics recently updated their clinical practice guidelines; the last update prior to this was in 2006. These guidelines were updated to provide clinicians with the most recent evidence based management strategies. Bronchiolitis is a viral illness caused by multiple viruses and occurs in 90% of children before the age of two. Bronchiolitis is a clinical diagnosis and as such, it does not require any testing to confirm diagnosis. Illness usually starts with rhinitis and cough, but can progress to respiratory distress.1 Exam frequently reveals tachypnea, mild retractions and expiratory wheezing. Patients with more severe disease can have grunting, nasal flaring or severe retractions. Assessment of these patients should include evaluation of hydration status, respiratory status, history of apnea, behavior changes and history of cyanosis. Standardized Residency Video Interviews: Benefit or Burden? Forward: Please note that after submission of this article, the Standardized Video Interview Project was put on hold this year for further review by the AAMC. However, its implementation remains expected at a later date. We are trained as emergency physicians to start evaluating patients from the moment we lay eyes on them. Sometimes referred as the “door test,” we assess, determine workups and consider possible dispositions from the moment we step through the door to lay eyes on our patient. Much like assessing patients, EM residency programs are looking for more efficient ways to rapidly evaluate future residents even before they are invited for an in-person interview. This year, medical students bound for an EM residency will have a new option to complete on their residency applications: the AAMC Standardized Video Interview. What exactly will this video interview involve? When I first heard of the concept, I initially envisioned it to be a “personal branding” video where each student would have a minute or two to sell themselves. While this idea is exciting, I also envisioned medical students spending many hours perfecting this video, and even more burdensome, spending hundreds of dollars for professional videography. Basically, I imagined something similar to YouTube high school football recruiting videos, complete with pump-up music and special effects. A 34-year-old Caucasian female presents to the emergency department with acute onset breathing difficulty and right-sided, stabbing chest pain. 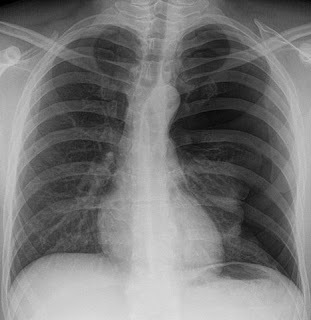 Physical exam reveals decreased breath sounds over the right hemithorax and chest x-ray confirms a right pneumothorax. This is her third occurrence of right-sided pneumothoraces. What can be considered a cause of recurrent pneumothoraces? Upon further questioning, the patient’s past medical history consists of clinically diagnosed endometriosis treated with NSAIDs. She has no history of asthma, COPD, chest injury, or history of smoking. The patient has no history of Marfan’s syndrome, which may increase the risk of pneumothoraces due to apical blebs or bullae. An 18-year-old male presents to the emergency department after a fall and painful, twisting right ankle injury during a soccer game. The patient is unable to bear weight, and denies numbness and tingling. Initial exam reveals generalized ankle swelling and ecchymosis, with intact and equal sensation to light touch in bilateral lower extremities, brisk capillary refill, and a 2+ dorsalis pedis pulse. The patient is non-tender to palpation of bilateral malleoli, but has exquisite bony tenderness over his distal fibula. The proximal fibula is non-tender to palpation. There is also tenderness over the medial joint line. Ankle range of motion is limited due to pain, but the patient is able to wiggle his toes. Mentorship has played a crucial role in my brief EM career. Perhaps, more importantly, it has also contributed to my personal and professional wellness. Realizing this, I asked myself a few questions. Why does mentorship matter? What makes a good mentor? All emergency physicians have had patients that arrive at the emergency department with 10/10 abdominal pain, coming in like a screaming banshee from the waiting room. We pursue and rule out the dangerous diagnoses that we don’t want to miss: abdominal aortic aneurysm, pneumoperitoneum, appendicitis, ischemic bowel, etc., but what happens when all the labs and imaging you ordered are normal? Perhaps it is a not so uncommon case of hypodilaudidemia, but is there something else more sinister that we should have in the back of our minds with these patients? The eight-step process that is required for the biosynthesis of heme is something we rarely think of in emergency medicine, but can be the source of great concern for patients that suffer from one of the many porphyrias. There is a wide range of clinical entities that can manifest by a defect or absence of the multiple enzymes within this pathway; luckily, there are only four inherited and one acquired subtype that present acutely. 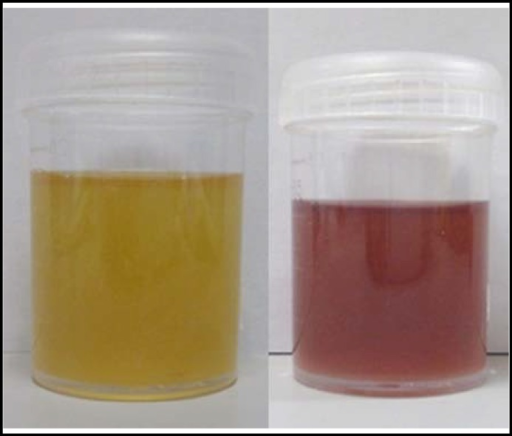 Acute intermittent porphyria (AIP) is the most common of these acute porphyrias occurring in 1-2/10,000 people, and most commonly in those of northern European descent. Variegate porphyria (VP), hereditary coproporphyria (HCP), and aminolevulinic acid dehydratase deficient porphyria (ALAD-P) constitute the remaining inherited acute porphyrias; whereas, Plumboporphyria (also known as lead poisoning) is the only acquired form and acts at the same catalytic step as the ALAD-P porphyria. The biochemical differences between the different acute porphyrias are not essential to know as they are not distinguishable in their clinical presentations, and the treatment is uniform for all of them. Acute gastroenteritis is a common diagnosis for pediatric patients in emergency departments across the country. Although the cause is usually viral, successful treatment consists of adequate fluid hydration and supportive care through the course of the child’s illness. The ability to keep a child hydrated through the illness is a major contributor to the successful outpatient management of these patients. There are oral rehydration solutions (ORS) available that have been recommended due to their ideal electrolyte concentrations, however, some children refuse to drink them because of the taste. High sugar drinks, such as sports drinks, have also been thought to induce osmotic diarrhea and therefore have not been previously recommended for gastroenteritis. 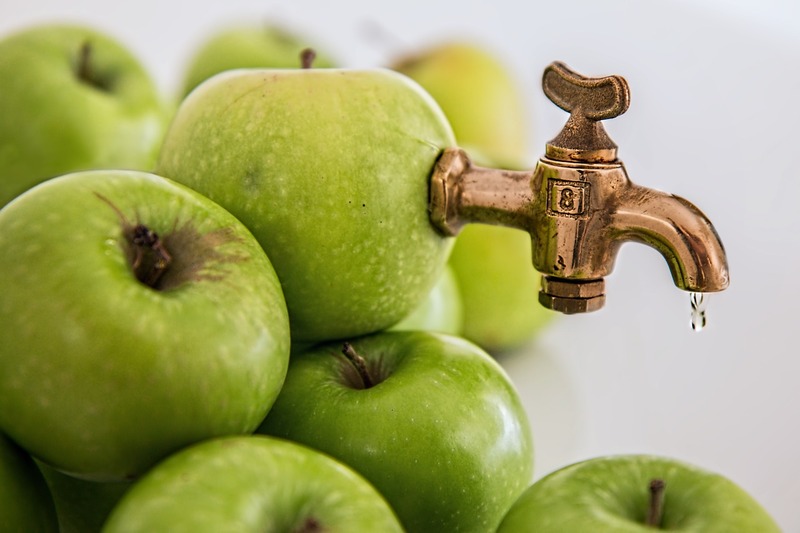 Throughout my short career, I’ve had many parents tell me they give watered-down juice because “that’s what Grandma told me to do.” A recent study published in JAMA attempted to determine if half-dilute apple juice would be an acceptable oral rehydration option, and perhaps prove that grandmas sometimes do know best. Calcium channel blockers (CCBs) are used to treat a variety of common conditions such as hypertension, cardiac dysrhythmias and headaches. But use of CCBs is not without risk, particularly in cases of toxicity and overdose. 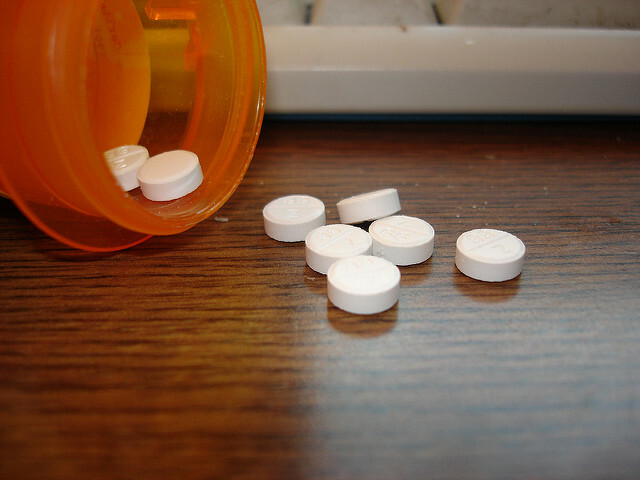 CCBs are the ninth most widely prescribed class of drugs in the United States, accounting for an estimated 92 million prescriptions filled per year. The American Association of Poison Control Centers’ 2008 data noted over 10,000 human exposures to CCBs and 60 deaths associated with CCB overdose. What are the signs of CCB overdose? The most common signs of CCB overdose are hypotension, sinus bradycardia, and shock. Other associated signs of overdose are hyperglycemia, pulmonary edema, myoclonus, dizziness, syncope, seizures, nausea, vomiting and acute kidney injury. Sustained release formulations can cause initial signs of overdose up to 12 hours post-ingestion. Diagnosis is clinical and thorough history taking is key to identifying CCB overdose. Patients taking CCBs who present with signs of toxicity should be questioned about intentional or unintentional overdose. Physicians should also inquire about details of how and when the patients take their medication to identify potential overdose. SCUBA, an acronym for self-contained underwater breathing apparatus, is a system for recreational diving practiced by hundreds of thousands of people across the world, but is not without its risks. In 2012, the incidence of SCUBA-related injuries ranged from seven to 35 per 10,000 divers and from five to 152 injuries per 100,000 dives. Insufficient training and preexisting medical conditions were common factors that played a role in injury, and drowning was the most common cause of death. While risks of trauma, hypothermia and submersion injury also exist, those more specific to diving including barotrauma, decompression sickness and nitrogen narcosis will be discussed in this piece and the next. Boyle’s law describes the relationship between pressure and volume of a system: as pressure increases (for example: descent), the volume of gas decreases. The opposite occurs during ascent. 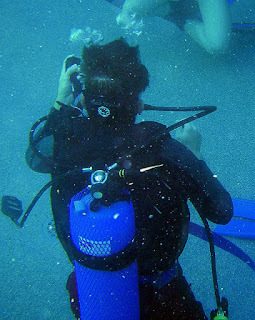 An example of this mechanism is the discomfort felt by divers and swimmers within their ears when descending and ascending in water. During descent, the increase in external water pressure causes a decrease in middle ear volume, a space enclosed by the tympanic membrane and the Eustachian tube. This causes pain in the form of middle ear squeeze or otic barotrauma, and is why divers and swimmers must frequently perform maneuvers to open their Eustachian tube. This is done by yawning, swallowing, jaw thrusting, head tilting and performing the Valsalva maneuver. For people who have trouble achieving equilibrium, advanced techniques employing a combination of moves may be necessary. Without equalization divers run the risk of tympanic membrane rupture or inner ear barotrauma leading to a perilymph fistula, which requires a referral to an otolaryngologist.